Alan Benson was named vice president for student development and discipleship in May 2018. He oversees key functions that impact the overall BJU student experience such as student discipleship, student leadership, student activities and organizations, residence life, student conduct, and student care, including counseling and physical health. Alan served as a youth pastor and senior pastor in Florida, North Carolina and Illinois for 25 years. 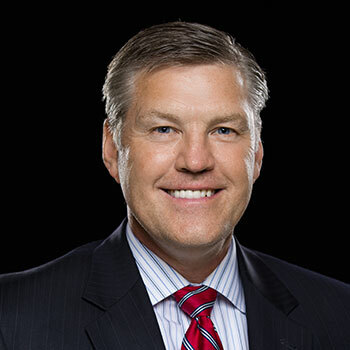 He came to BJU from Bethel Baptist Church in Schaumburg, Illinois, where he served for five years as senior pastor of the 600-member church and president of a Christian day school of nearly 1,000 students. He earned a BA in Bible (1992) and a master of ministry (2009) from BJU, a master of divinity from Louisiana Baptist Theological Seminary in 2011 and is a doctor of ministry candidate at BJU Seminary. Alan and his wife, Michelle, have 4 daughters.